Trumbo, a film which deserves to be seen, depicts the particularly insidious role the House Un-American Activities Committee (HUAC) played in contributing to the Hollywood blacklist. The film shows various writers’ struggles with the blacklist, but focuses on Trumbo’s struggle first in leading the fight against HUAC, then working to undermine the blacklist by writing films under pseudonyms, and finally being credited by name on Exodus and Spartacus ending both the blacklist and his personal hardships. The text at the end of the film goes on to state that HUAC continued its investigations of people until 1975, a full 15 years after the film depicts Trumbo ending the blacklist. The question should hopefully arise in the minds of the viewers how it is HUAC managed to survive for so much longer and what finally ended HUAC. Trumbo’s individual saga is certainly an interesting tale and makes for a great movie, but it is just one piece of the larger story of HUAC that describes a coordinated government crackdown on ascendant progressive movements and a powerful grassroots movement that defeated it from below. While some of the early scenes in the movie depict attempts at organizing and collective action against HUAC and redbaiters’ divide and conquer tactics used to thwart such attempts, absent from the film is the mass movement that killed HUAC. Of course, that movement is not the focus of the film and Trumbo cannot be faulted for its absence. The story of how HUAC was defeated is a story that must be told, as it has powerful lessons for today’s activists. The story of HUAC is generally told as a moment of Cold War hysteria, but HUAC was established in 1938 and HUAC itself was not formally abolished until 1975. That placing HUAC’s existence in the 1970s seems anachronistic is partly a testament of the successful movement for its defeat. 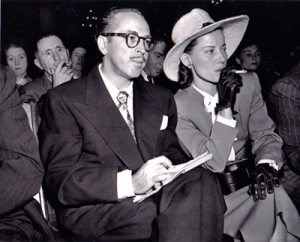 HUAC’s odiousness is remembered as its ability to ruin lives and careers, as it did to Dalton Trumbo, by mere accusation and insinuation alone. Yet, by the 1960s the committee became both a cause célèbre and a national embarrassment greatly diminishing its powers of intimidation. At the same time though, this selective historical memory overlooks HUAC’s pre-Cold War antics of investigating civil rights activists in the South, attempting to determine if ancient Greek playwright Euripides was a communist, or its continued investigation of anti-war activists into the 1960s. The anti-civil libertarian policies of the early Cold War period are often viewed, even by their harshest critics, as a hysteria expounding from concerns about national security and espionage. Yet, HUAC did far more than investigate potential spies. HUAC’s roots lie in the fact that in the 1930s radical social movements around labor and civil rights had begun to emerge. Many of these movements did have radical influences, after all the Socialist, Communist, and Socialist Labor Party polled a combined one million votes in the 1932 Presidential Election. The Communist Party, as detailed in both Robin Kelley’s Hammer and Hoe and Glenda Gilmore’s Defying Dixie, organized a powerful movement in the 1930s South that weaved together labor rights, civil rights, criminal justice reform and anti-police brutality work into one seamlessly interconnected cause. This is what provoked conservative reaction more than anything else. While anti-communism was a bipartisan fetish, HUAC ultimately began an incubator for Congress’s extreme right—with members who supported Jim Crow, opposed programs like Medicare and unemployment insurance, and fantasized about destroying the New Deal filling its ranks. Just as HUAC and the related reactionary clamp down on civil liberties was meant to crush powerful social movements, HUAC’s demise was ultimately dependent on powerful social movements that resisted it. Dalton Trumbo and the Hollywood Ten went to Washington believing they had the backing of such a movement. Early on, Hollywood was organized. Actors formed the Committee for the First Amendment and recorded a series of radio broadcasts entitled “Hollywood Fights Back.” But Hollywood didn’t fight back. This mobilization was predicated on there being backing from the studios. When early into HUAC’s hearings on Hollywood communism the studios began to perceive things as going poorly and abandoned their support for the First Amendment by voluntarily adopting blacklisting. The Committee for the First Amendment was no more and the Hollywood Ten went to jail. While we cannot say for sure what would have happened had people rallied against HUAC, later examples will show that solidarity was a powerful weapon against HUAC repression. Perhaps the greatest mistake HUAC ever made was it attempt to persecute Frank Wilkinson. Wilkinson would help to found the National Committee to Abolish HUAC (which would eventually become the Bill of Rights Defense Committee/Defending Dissent Foundation), a story that has been chronicled in great detail in both Richard Criley’s The FBI v. The First Amendment and Robert Sherrill’s First Amendment Felon. Given this political activism it might not be surprising to learn the Wilkinson had an FBI file of 132,000 pages, but the FBI’s spying on Wilkinson began decades before he became the nation’s most visible opponent of HUAC. When Wilkinson was an employee of the Los Angeles Housing Authority he was involved in attempting to build integrated public housing in Chavez Ravine. This angered not only local developers, but J. Edgar Hoover and the FBI. The FBI turned over Wilkinson’s files to the developers’ lawyers. As a result, when Wilkinson was testifying about housing conditions in an eminent domain case, lawyers for the developers, using Wilkinson’s FBI file, began to cross-examine him about his political associations. Wilkinson refused to answer the question and the LA Housing Authority was investigated by California’s own version HUAC, leading to many people being fired, including Wilkinson, and Chavez Ravine becoming home to Dodger’s Stadium rather than public housing. Wilkinson would find a new job as the leader of the movement against HUAC when after a conversation with an ACLU executive Wilkinson mentioned that he had been tracking the stories of individuals who had successfully fought back against HUAC. The ACLU, believing that encouragement and support for those resisting HUAC was what was needed, asked Wilkinson to monitor the press for such stories and report them in a column called “The Changing Tide.’ Wilkinson would go on to be the director of the Citizen Committee to Preserve American Freedom and the National Coalition to Abolish HUAC. In that role he not only traveled the country speaking for the abolition of HUAC, even though many campuses had banned him for speaking, but he worked to organize a “fight-back” against HUAC. Wilkinson would incur the wrath of HUAC for his actions, be called to testify by them twice, and end up serving nine months in jail for refusing to answer HUAC’s questions about his political associations on First Amendment grounds. When HUAC was finally abolished Rep. Robert Drinan, both a member of HUAC and a supporter of the National Committee to Abolish HUAC, credited Wilkinson and the organization he led with its abolition. Some of the strongest support for the national movement against HUAC came from the civil rights movement. The night before Wilkinson and his co-defendant Carl Braden turned themselves in to serve prison sentences for defying HUAC Martin Luther King and the Southern Christian Leadership Conference held a dinner in their honor. King himself had signed a petition for amnesty for Wilkinson and Braden, as he believed “We’ll never achieve peaceable integration in the South until the Un-American Committee has been abolished.” Braden himself had been a civil rights activist and while Wilkinson had pled the First Amendment when called by HUAC in Los Angeles, both his and Braden’s prison sentences stemmed from refusing to testify at a 1958 HUAC hearing in Atlanta, Georgia. The hearing was ostensibly about Communism in the South, but was largely meant to harass civil rights activists. This was a repeat of history. 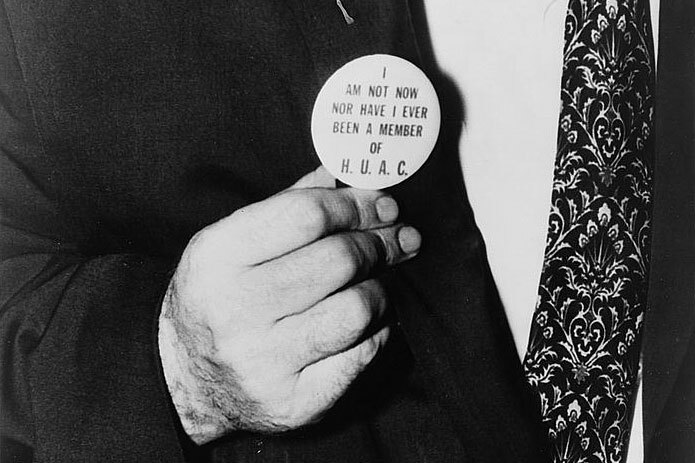 As documented in Hammer and Hoe, in the late 1930s, HUAC devoted attention to the nascent civil rights organization the Southern Conference for Human Welfare. The organization attracted the support of Southern Communists, who were organizing an effective campaign for civil and labor rights, but it also attracted the support of liberals. First Lady Eleanor Roosevelt even attended its inaugural meeting. In attacking most Southern politicians spent more time assailing its promotion of “social equality” (i.e. the idea that all people are equal regardless of race) than expressing fears about global revolution. Its links to prominent New Deal liberals were particularly important to HUAC members who thought it proved that the New Deal was working with Communism. Thus, many in the civil rights movement, King included, understood HUAC was a potential bludgeon with which to crush the civil rights movement and rightfully linked their cause with the movement for its abolition. The student movement also provided ample support for the fight against HUAC. The first time HUAC was ever met with widespread protests was when in 1960 it held hearings in San Francisco. Students from UC Berkeley picketed the hearing and made a point of attending and audibly laughing when “things got ridiculous.” The most dramatic moment of the protests came when police sprayed students with fire hoses literally knocking them down the staircase of city hall. HUAC released a film of the events entitled “Operation Abolition.” While HUAC perhaps thought that a film depicting their Kafkaesque proceedings and police attacks on students would somehow make them look heroic and vilify the protestors, it in fact had the opposite effect. While what had happened in San Francisco may have been novel, protests at HUAC hearings soon became the new hearings. When HUAC rolled into Buffalo in 1964 (they had previously held hearings in Buffalo in 1956 with no opposition), not only were the greeted 1,500 pickets—mostly students—the Common Council also voted not to give HUAC an official welcome. HUAC’s battle with students was made worse by the fact that in the 1960s HUAC frequently went after the student movement. In 1963, a group of students traveled to Cuba in direct violation of the State Department’s travel ban. This trip, made under the organizing auspices of the Student Committee for Travel to Cuba, attracted heavy media attention, as well as the public condemnation of President John F. Kennedy. After returning home, HUAC summoned the students to a congressional hearing. HUAC was once again confronted with the power of solidarity. Supporters of the students staged sit-ins on Capitol Hill and over thirty pro-student protesters were ejected from the hearing. While the students did plead both the First and Fifth Amendment, they also gave long statements about their personal political views. Twelve of the 59 students were members of the Progressive Labor Movement (later Progressive Labor Party). The Progressive Labor Movement emerged from a splinter within the Communist Party over the Sino-Soviet split. The Progressive Labor Movement also viewed the Communist Party as being overly timid, especially in expounding upon their views. This played a role in how they dealt with HUAC. The Progressive Labor Movement’s strategy was one of open confrontation; they organized protests against HUAC, as well open declarations of their Marxist-Leninist politics to HUAC. Throughout the 1960s HUAC would obsess over the Progressive Labor Movement and the Progressive Labor Movement would time and time again successfully employ this strategy to outsmart them. The Progressive Labor Movement may have been unabashed “communists,” but most of those on the Cuba trip were not. Some were not even supportive of the Cuban Revolution. However, the majority resisted the divide and conquer strategy that had long been successful in breaking apart movements. They publicly stated, “we who are not communists are not afraid to stand with communists in proclaiming what we believe, and we intend to do so in a united fashion.” Throughout the 1930s southern states would ban subversive literature, which included not just the writings of the Communist Party, but liberal publications like The New Republic and The Nation. Liberals oftentimes instead of making a full-throated defense of the right of a free people to read whatever they wanted would instead try to distance their own publications from that of the truly subversive literature. In the early Cold War era, civil liberties, nuclear disarmament, labor, and other progressive groups played into the hands of HUAC-hysteria by setting out to purge their own organizations of politically undesirable individuals. Some of them even purged members who plead the Fifth Amendment when testifying before HUAC refusing to answer questions about their own political beliefs. This ultimately weakened the organizations, with many members rebelling and often times leaving—not due to a particular affinity for Communism, but out of a civil libertarian opposition to being part of an organization that internalized the witch-hunt tactics of the state. When Women’s Strike for Peace formed in 1961 it was specifically aware of how internal loyalty tests had ripped apart previous peace groups and were explicit in accepting anyone regardless of political ideology. This made Women’s Strike for Peace a prime target for HUAC and a prime force for resisting them. 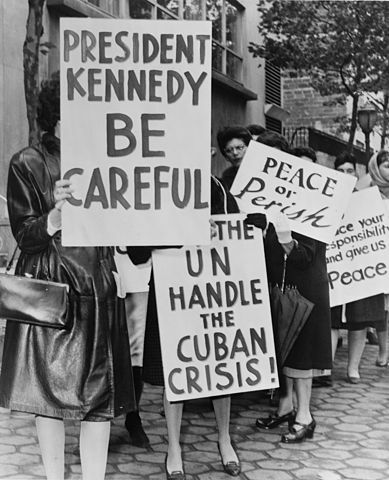 Women’s Strike for Peace’s strategy for dealing with HUAC consisted of a firm defense of their refusal to impose a political litmus test on their members, as well as support for all members called before HUAC regardless of their past or present political affiliations. There were would be no purges and there would be solidarity with all targets of HUAC. Women’s Strike for Peace not only mobilized a protest against the hearing, they also mobilized members to send telegrams to HUAC asking to testify about their involvement with Women’s Strike for Peace. In the past a mere subpoena from HUAC would destroy lives, now here were individuals volunteering to appear. When the hearings did happen Women’s Strike for Peace members packed the room and engaged in open support for those called to testify through such acts as publicly giving them flowers and hugs or applauding when members took the Fifth Amendment. In exchange after exchange with the women peace activists the all-male HUAC committee members consistently came out as the clear losers. It may be hard to imagine today, but the impact of this was devastating on HUAC. The press, which had in the past itself engaged in a far deal of red baiting, was almost uniformly on the side of Women’s Strike for Peace. Political cartoons, opinion columns, and editorials did not merely criticize HUAC, they openly mocked and belittled the once feared committee. In 1966, two decades after the Hollywood Ten, HUAC subpoenaed 11 anti-Vietnam war activists, including students and a faculty member at the University of California. A group of prominent writers, activists, and even a member of Congress wrote a letter to the New York Review of Books calling on the hearings to be cancelled, HUAC to be abolished, and expressing support for those subpoenaed. The letter was clear that HUAC existed “only as an instrument to smear and intimidate those in our society who hold unpopular political views.” The letter did not shy away from mentioning the views of the subpoenaed—“[s]ome are members of the Progressive Labor Party; others of the W.E.B. DuBois Club [a Communist Party sponsored youth group] and Students for a Democratic Society.” Yet, the signers stated it did not matter what one thought of their views, HUAC had no right to inquire into them. The days of dividing and conquering social movements was waning as activists realized HUAC was designed to crush social movements and could only be stopped through solidarity with its targets. HUAC may seem like ancient history, but the movement that defeated it has important lessons for today. There is an active attempt to conflate the Black Lives Matter movement with a so-called War on Cops, pinning the murder of police officers on protesters. The House Homeland Security Committee regularly holds hearings on Muslim “extremism” and the United States government is launching a “Countering Violent Extremism” program aimed at singling out Muslims for their religious beliefs. Environmental and animal rights activists are routinely labeled as terrorists for engaging in activism. Students and professors who express solidarity with the Palestinian people are targeted for censorship across college campuses. The list goes on. The same strategies of organizing a social movement against repression and expressing solidarity with those targeted for repression that defeated HUAC are vital for defeating the new assaults on grassroots activists.